At the Open House, we get to play with cool toys 🙂 Video editing is much more affordable (as in free to be more precise). So I decided to take a stab at a short little test video and some music. It’s just something I put together in about 10mins. Want to learn? Come on over and find out! 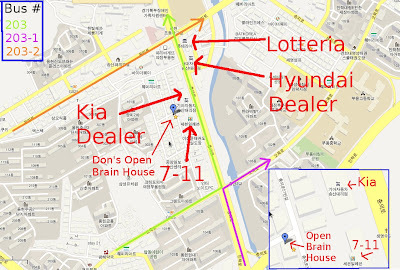 Click here for Don’s Open Brain House live Bambuser.com broadcast! We got our first big table! This was a donation from Mina (& a friend of hers), the owner of Tom & Jenny’s hogwan. Thank you! Grand Opening Event & Live Broadcast! On Saturday May 19th, we will be having our Grand Opening Event! We have decided to combine the local Teachers Bookclub into the day of the Grand Opening as well! Also, we will be broadcasting LIVE on Bambuser.com, the link will be posted here! Click About Page for live Google Maps. 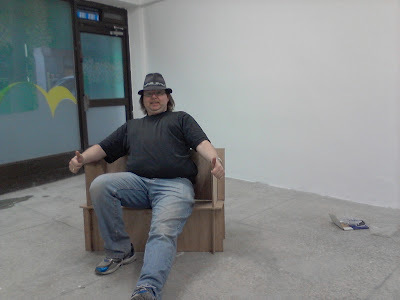 I am working to have this place be a representation of freedom and freedom of expression. This includes using tools that aid us in that endeavour. So I will be decorating the place with some logos of products that are free/open source to promote this idea of freedom. 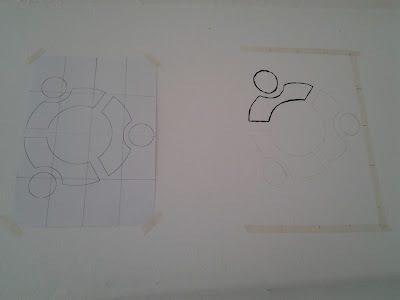 This logo is for Ubuntu and I am hand painting everything. 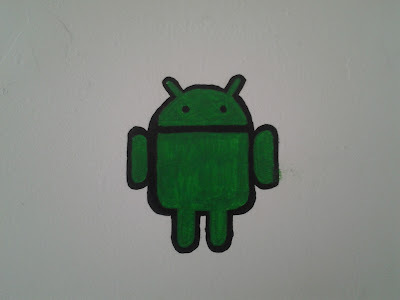 And what place isn’t’ complete without the ubiquitous Android logo? 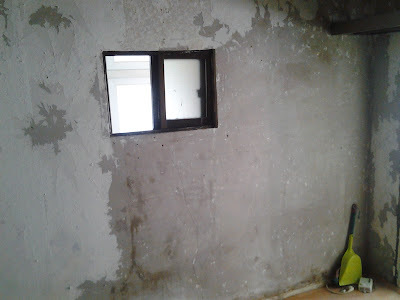 Also, got some more wall cleared from the little inner room, this is a tough job! Ever since learning about Playatech, I’ve been fascinated by their designs and simplicity of engineering. 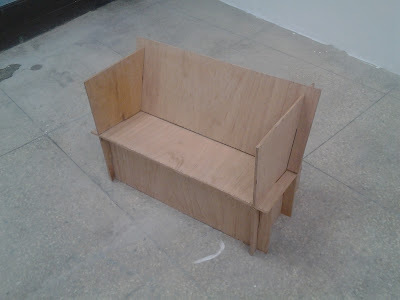 I made it a goal to make all the furniture in the space using their methods, or designs that are similar. 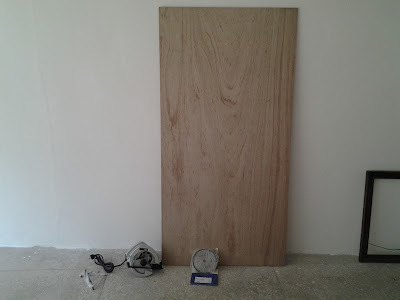 Today the first piece was made. Of course the local hardware store didn’t have the exact size as outlined in the plays. 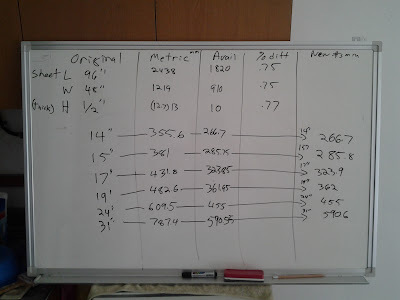 So I had to calculate and convert from inches to mm, and then reduce that number to one that works for my size of wood. 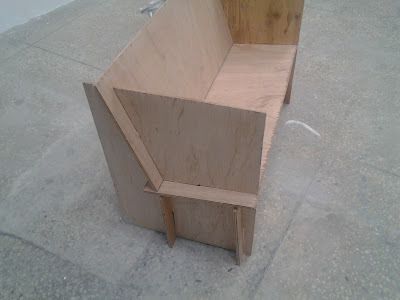 I liked this design because the initial cuts are pretty simple (truth be told, most of their cuts are simple). I didn’t get any action shots of the cutting as I was the only one doing the works and I was limiting my Galaxy Tab to dust exposure. 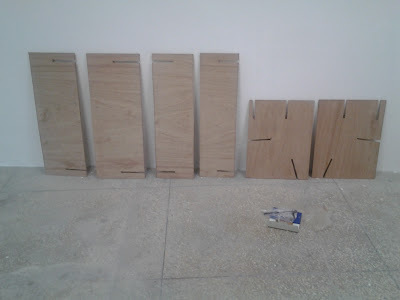 So here are the pieces all set and cut. So, does it all fit together? 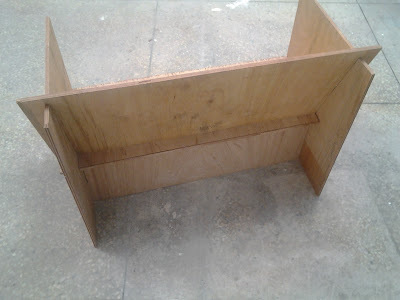 Was my handy-dandy craftmanship good enough for this job? You be the judge. Now the big question, will it hold any real weight? It is only 10mm thick after all, and it is only 75% of the original size….. 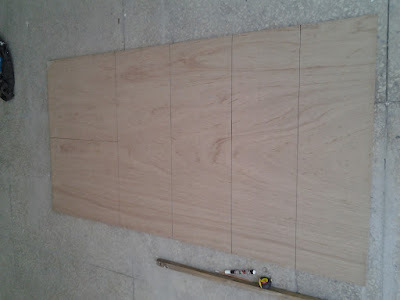 Wondering what should I do next….a proper sized one or a table? I will need both any ways. we’ll see.